Mars is approaching Earth for a 15-year close encounter on July 27, 2018. The red planet now outshines every object in the sky except the sun, Moon, and Venus but is almost three times brighter than Sirius, the brightest star in the sky, and 30% brighter than the giant planet Jupiter.  Mars is not only outshines every object in the sky, it is doing things only very luminous objects can do–like produce a green flash, see below GIF animation, reports spaceweather. On July 12, 2018 Peter Rosén of Stockholm, Sweden captured Mars in the early morning sky at a moment the turbulence was extreme, sometimes splitting the planet’s disc in two or three slices and displaying a green and blue flash resembling those usually seen on the sun.